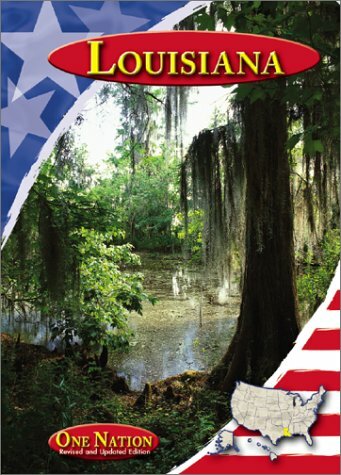 The state of Louisiana brings special images to mind: Mardi Gras, the French quarter, plantations, Cajuns, Huey Long, moss laden live oaks, and water. 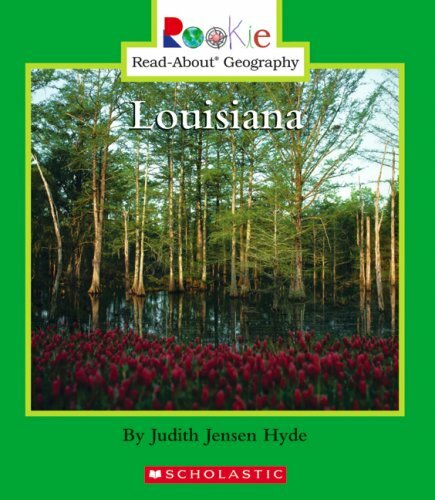 This comprehensive, up-to-date atlas, with dozens of maps in color, summarizes the geography, history, and economics of Louisiana's uniquely Southern milieu, from ancient days to the present. 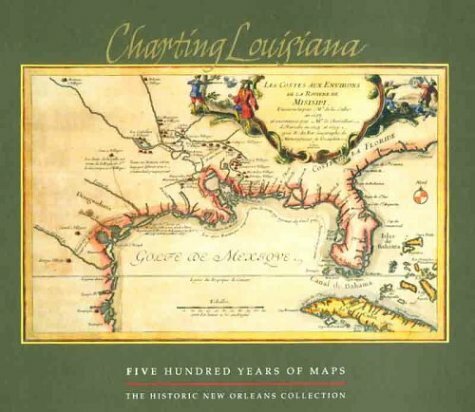 The Atlas highlights Louisiana's physical environment and natural resources, aboriginal setting and Native American tribes, European contacts and settlement, political development, population and urbanization, transportation, agriculture, industry and commerce, and cultural growth. Each of the 99 pages of maps Is accompanied by an essay describing and summarizing important geographic features or historical events. The Atlas also includes a full length introduction, gazetteer, references and an index. Most of the media coverage after Katrina failed to grasp the history surrounding the creation of this great city.Bienville's Dilemma does an exceptional job of compiling a significant amount of relevant data. This book is essential reading for anybody who plans to build in New Orleans from a doghouse to a 20 story building.A great source of real New Orleans facts and history. 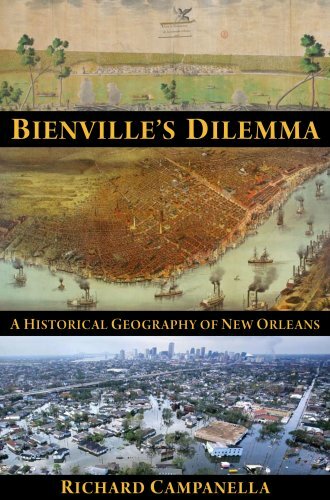 "Bienville's Dilemma" is a terrific contribution to the history of New Orleans and its times. Richard Campanella uses a non-traditional format to tell his story. 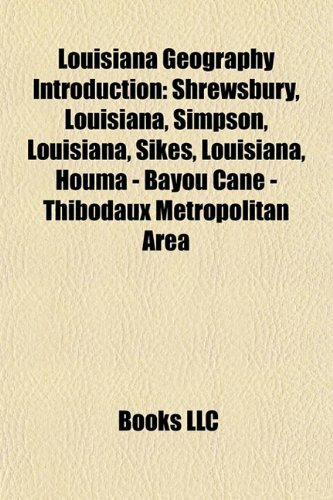 He starts with a time-line that contains major milestones in New Orlean's past and continues with eight'landscape' segments. Each segment is made up of multiple stand-alone papers on some aspects of the entire 'historical geography'.The segments do support the overall story, but the reader can really start anywhere and learn something important. WWII brought our family to the New Orleans area and I grew up there in the 1940's and '50s. My wife was born in the area. Like many others, we left New Orleans after our marriage and have lived in many places. However, the city holds a peculiar attraction for us. It is continuing to change, and Campanella highlights the many aspects of what change means in New Orleans.This is a good book for the native, the visitor, or just the curious. An important book on New Orleans that gives us a fresh way to view the history and culture of this singular city. Mr. Campanella presents us with a series of dilemmas that the city and the people who populate it have grappled with from its founding to the present day. From the impact of landscape, environment and politics at its inception and its post-Katrina future, to the ebb and flow of the many cultures who have contributed to its unique character and place in America and the world. 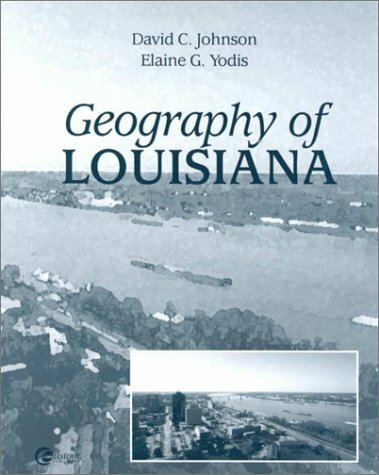 As with his previous book [[ASIN:1887366687 Geographies of New Orleans: Urban Fabrics Before the Storm] the author's depth and breadth of scholarship is impressive. Exhaustively researched and lavishly illustrated with photographs and illuminating graphics that bring alive the issues raised in the text. To call this book thorough and detailed would almost be damning it with faint praise. I finished it with a much clearer and richer understanding of the city and how its historical dilemmas have yielded to new but related ones. Resolving these, as it has been since Bienville's time, remains very much a work in progress. The how, where and why of New Orleans. Fascinating! 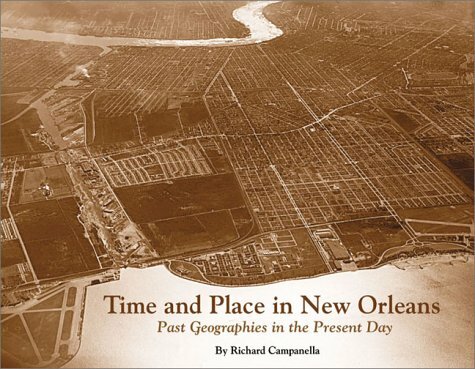 Everyone in New Orleans will recognize the truth behind the title of geographer Richard Campanella's new history of the city. "Bienville's Dilemma" -- which he succinctly distills to "questionable geography, questionable future" -- has been an issue since the city's 1718 founding. And "dilemma," defined by the dictionary as "a problem involving a difficult or unpleasant choice which will bring undesirable consequences," characterizes the state in which all New Orleanians find themselves post-Katrina. For Campanella, who is the associate director of Tulane University's Center for Bioenvironmental Research and a research professor with Tulane's Department of Earth and Environmental Sciences, New Orleans has been a case of obsession at first sight. He draws from rich readings in travelers' accounts, newspaper articles and previous geographies, as well as his own observations, so important in the sections dealing with Katrina and its aftermath. The result is an immensely readable treasure trove of history, one a reader could open to any page for a source of enlightenment, education or pure delight. And the 58-page timeline of the city's history is an invaluable reference in itself. "The idea of a dilemma," Campanella said, "has helped me come to terms with our challenges here, mostly in issues of land loss and natural hazard risks, if you think of them as dilemmas first and problems second. First and foremost, there are the choices we have to make based on value judgments, and once the difficult choice is made you have a problem that can be solved by good science and engineering. But your first choice may render an unforeseen consequence. I find all this intellectually stimulating as well as morally challenging." Campanella is such a riveting writer that he can make anything fascinating -- the composition of soil; the battle for control of water; patterns of settlement in the city; the history of Creolism, which he calls "our home-grown ethnicity"; the ways in which we have "scored and scoured" the land, with canals and levees, structures that were originally designed for our safety but have become sources of hazard; the way we have made groceries since the very beginning; the pride of being a New Orleans native; the developments of wards and faubourgs. In a chapter called "Devastating the Landscape," he writes of storms and fires and floods, cautioning of the "truism long recognized by hazard planners: the aftermath of one disaster becomes the prelude to the next." Time and time again, he sees the patterns in the city's problems. One of the most fascinating chapters -- and Campanella originally hoped that it would serve as the title for his book -- tells the story of "Manuel's Dilemma" for the first time. During the hurricane of 1915, forecaster Isaac M. Cline warned Manuel Marquez, the caretaker at the Anglers' Lodge in the Rigolets, that people there should be evacuated on the last train. Desperation grew as Manuel was forced to choose between saving himself or his people. Marquez went off to search for his people, missed the train, and perished. "This is one of the chapters that I enjoyed contributing to the public record," Campanella said. "Colossal decisions -- involving evacuating, relocating, hunkering down, giving up, resisting, conceding, fighting, accepting -- confront citizens of New Orleans and southeastern Louisiana, oftentimes to the exasperated and impatient disbelief of Americans elsewhere. Should we remain in eroding marshes and continue centuries of tradition, or end our way of life and move inland so that aggressive coastal restoration may commence? Should we maintain all low-lying, far-flung neighborhoods and trust that levees will protect us? Or should we concede these areas to nature and build only on higher ground? Should we try to save everyone, at the risk of losing everyone? Or should we ask some to sacrifice everything so that others may maintain something? Shall we strive toward the probable survival of half the society, or the possible survival of the entire society?" Citing the arguments of the abandonists, the concessionists and the maintainers in the heated arguments about the city's future after Katrina, Campanella writes that the answer was, apparently, "Let people return and rebuild as they can and as they wish, and we'll act on the patterns as they fall in place." 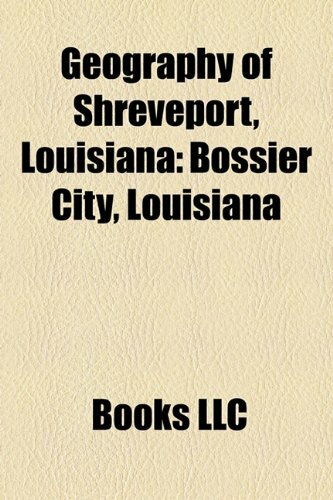 One underlying theme of this book is the rich inspiration New Orleans has provided to its citizens and its visitors, its provocative situation in the national consciousness. Everyone, informed or not, feels he can pronounce on the city. And we have learned from those pronunciations, as Campanella notes about the rich contributions of 18th century Ursuline nun Marie-Madeleine Hachard, whose letters offer a wealth of information useful to a geographer. "Every time I bike past the Bienville (and Chartres) intersection, I look up at the second floor of the building -- and that building is from the 1800s, the original building is long gone -- and I picture her sitting up there, making those amazing observations," he said. "I think about how much we know about 1727 New Orleans because of her articulate and amazing letters." New Orleans has benefited from the rich records left during its heyday, when it was the third largest city in the country and an obligatory stop during a grand tour of America. "There's the instinct to pass judgment on New Orleans," Campanella said. "Many times it's flattering. There are so many, myself included, who are so enthralled by this city on first sight. And others who are repelled." And then there are those who are both. "Well, there's your dilemma!" Campanella said, laughing. As he writes, "Ask an informed American citizen today to ruminate on Dallas or Atlanta or Phoenix, and you will probably get small talk, lukewarm pleasantries, and a brief conversation. Ask them what they think about New Orleans, and you are in for not only an opinionated retort, but a sentimental smile, a scolding finger or a treasured memory, a shaking head, or an exasperated shrug over the course of a conversation spanning the spectrum of the human experience. This enigmatic capacity to rile and inspire, to scandalize and charm, to liberate and fascinate, helps explain why thousands of people have rejected the amenities and opportunities of the lukewarm Dallases and Atlantas and Phoenixes of the world, and chosen instead to cast their lot with this troubled old port -- embracing all its splendors and dilemmas, all its booms and busts, all its joys and tragedies." One of the most provocative chapters looks at the contributions of transplants to the city, and the difference between transplants and natives. "Nativity as ethnicity is one of the most neglected areas of research in the social sciences," Campanella said. "There's little research on how people who have deep roots in a place differ from their neighbors who have moved there. We have plenty of research on immigration and immigrants. But you see different patterns of human geography when you ascribe patterns of nativity." One of his more interesting observations is that "Transplants are more likely to listen to National Public Radio and listener-supported WWOZ than commercial radio, and tend to be 'Jazzfest people' rather than 'Mardi Gras people.' They predominate disproportionately at events involving the arts, culture, and social, urban, and environmental causes." Campanella says that his book "takes a very frank look at the city. Some readers may be uncomfortable with the documentation of things like decline, but this is not an advocacy piece." Campanella, who bikes from his home in the Bywater to Tulane each day on what he calls the "bicycle business tour," often stops to photograph interesting images along the way. One of the most striking pictures in the book, included in the 48-page section of maps and photos and graphs, depicts the graffiti on the side of a building in the Bayou St. John neighborhood: "You'll find your way by the mileposts of hope." It's perfect poetry. "The city writes it," he said. "I just document it." 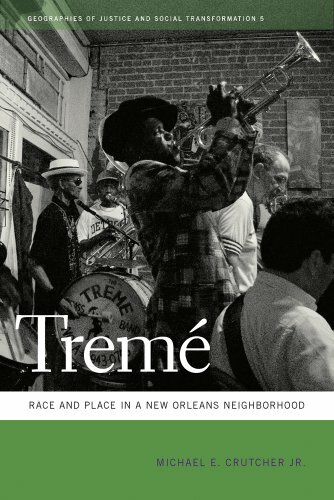 by Michael E. Crutcher Jr.
Michael Crutcher argues that Tremé’s story is essentially spatial—a story of how neighborhood boundaries are drawn and take on meaning and of how places within neighborhoods are made and unmade by people and politics. Tremé has long been sealed off from more prominent parts of the city, originally by the fortified walls that gave Rampart Street its name, and so has become a refuge for less powerful New Orleanians. This notion of Tremé as a safe haven—the flipside of its reputation as a “neglected” place—has been essential to its role as a cultural incubator, Crutcher argues, from the antebellum slave dances in Congo Square to jazz pickup sessions at Joe’s Cozy Corner. What is it like to lose your front porch to the ocean? To watch saltwater destroy your favorite fishing holes? To see playgrounds and churches subside and succumb to brackish and rising water? The residents of coastal Louisiana know. For them hurricanes are but exclamation points in an incessant loss of coastal land now estimated to occur at a rate of at least twenty-four square miles per year. In Losing Ground, coastal Louisianans communicate the significance of place and environment. During interviews taken just before the 2005 hurricanes, they send out a plea to alleviate the damage. They speak with an urgency that exemplifies a fear of losing not just property and familiar surroundings, but their identity as well. 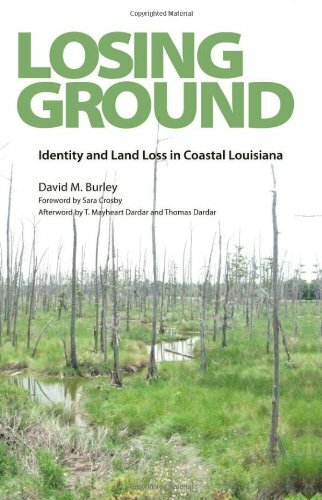 People along Louisiana's southeastern coast hold a deep attachment to place, and this shows in the urgency of the narratives David M. Burley collects here. The meanings that residents attribute to coastal land loss reflect a tenuous and uprooted sense of self. The process of coastal land loss and all of its social components, from the familial to the political, impacts these residents' concepts of history and the future. Burley updates many of his subjects' narratives to reveal what has happened in the wake of the back-to-back disasters of Hurricanes Katrina and Rita. This digital document is an article from Focus on Geography, published by American Geographical Society on March 22, 2010. The length of the article is 3434 words. The page length shown above is based on a typical 300-word page. The article is delivered in HTML format and is available immediately after purchase. You can view it with any web browser. Title: Photojournal: The Cajun Mardi Gras in Southwest Louisiana. 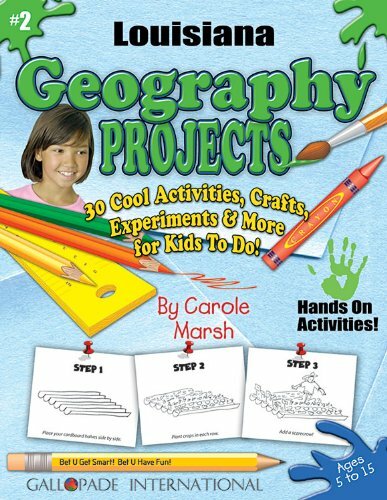 Here's a geography book in coffee-table guise that has a lot going for it: expert research, generous format and a sympathetic publisher. 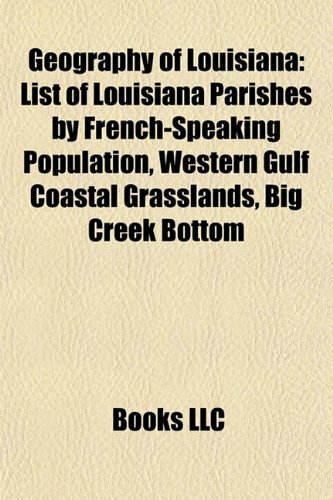 It's a valuable addition to standard academic textbooks about the Crescent City. The author deftly peels back the strata that define New Orleans and make it all the more evanescent. I learned a great deal about the hidden realm squirming under our feet here in N'awlins. However: The book is, to put it simply, 10 pounds of good intention in a 5 pound bag. The author has analyzed the geography and its effect on the city from so many angles, with so much data, that the effect is overwhelming, even to a professional technical writer such as myself. As much as possible was shoe-horned into this book, without considering readability. A magnifying glass is a must for the small text and even smaller captions on the amazing number of graphs and charts. Geography is Campanella's forte, but social history is not: he is out of his depth trying to revisit the Creole/American boundary question. The designer and publisher should have tactfully reined in the author's manic approach, and the result would have been a much better, more taut tome. I admit to being fascinated by pictorial histories of cities. I enjoy being able to stand on a street corner, or on the observation deck of a tall building, with such a book in hand and "see" into the past. All cities are formed by their geography and this is perhaps truer for New Orleans than most. Campanella, an environmental analyst and historical geographer, and the author of _New Orleans Then and Now,_ begins with the problematic founding of the city (the malarial swampland between the river and the lake wasn't anyone's first choice). As the city expanded, land reclamation became necessary, but this was complicated by the high water table and the need for a complex drainage system. Its geography also formed the city's culture, its districts, neighborhoods, nodes, street patterns, and shifting industrial center. But many readers may be less interested in the civil engineering case studies and more attentive to this coffee-table volume's glossy photographs, many of them aerial. And most residents of the Crescent City will agree with his description of St. Charles Avenue as the city's "spinal cord" and perhaps be surprised to learn that many of the radiating streets of their city are the exact descendants of footpaths traced on early maps. This brief book is an excellent length to read through in a sitting.It's a very interesting collection of history and curiosity satisfaction. A fine gift for yourself or a friend moving to Louisiana.